PLEASE CALL US AT (954) 873-6495 to make us any reasonable offer or a car or cars you might wish to offer in trade! Racer, Buddy Arrington & his Son Joey Arrington, NASCAR racer, engine builder & team owner. Amazingly, this bad to the bone Ramcharger still has it’s original Engine, transmission and rear end. Condition: A true number 1+ condition car that has undergone a 14 year Rotisserie Restoration with no expense spared. was restored to exacting detail & was completed in March 2016. Driven less than 20 miles since completed. the original parts to restore. power train and has never lost a single sanctioned NHRA or AHRA 1/4 or 1/5 mile race in it’s almost 1&1/2 years of competition. he gave me his cell phone private line. (12/11/17) He is a truly a 1st class Gentleman. done to precise factory standards. 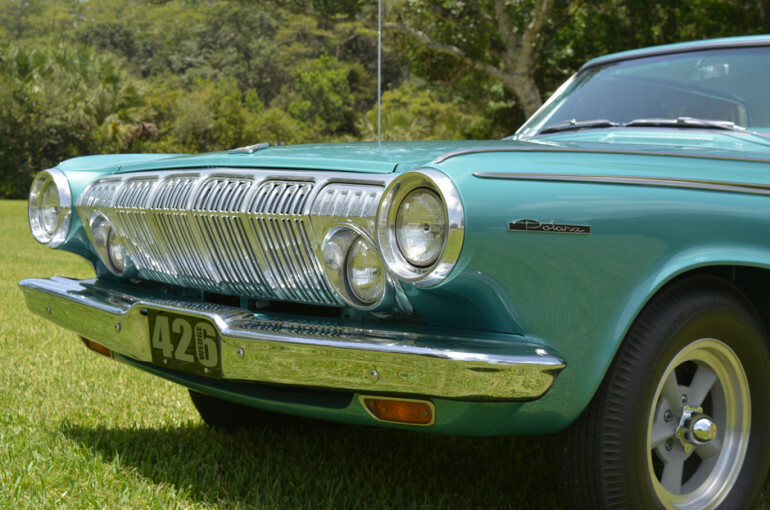 Jim is a world renowned expert on early high performance MoPars. He also gave me his private number and said it would be okay to give his number to the next owner. Like Joey Arrington, Nate Jr. is also a 1st class Gentleman. I spoke to Nate Berk, Jr….he is now 76 and he is one terrific guy…. we promised to keep in touch…A story he shared with me was one Sunday he was racing at Maplegrove and he could’t get any traction…..
top stock eliminator….that’s the way it was in the late 50’s and 60’s most guys were willing to help even the competition. I haven’t been able to reach Nate’s younger Brother, Danny, but should be able to speak with him soon. He still works at Berk’s Dodge in the same location. 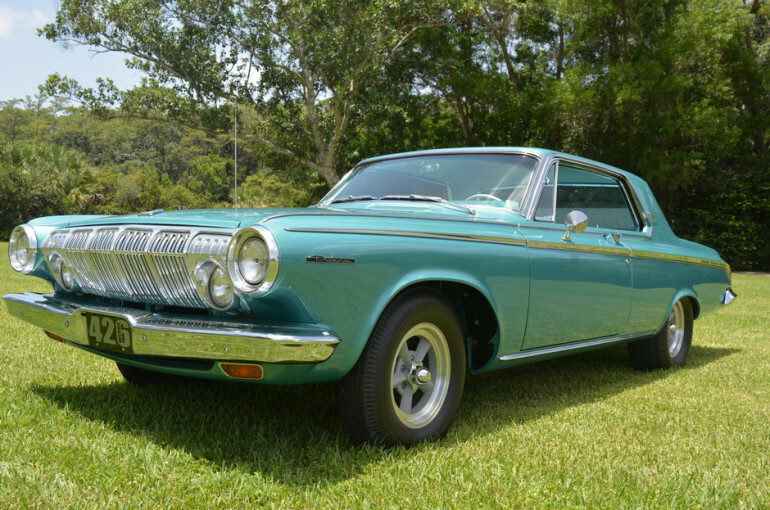 Here is this car’s amazing & unique history…..
nice Dodge Polara (no post) with the 426 Ram induction, push button automatic 3:91 rear and a radio. Company, Dated 10/19/62 with the destination listed as Catasauqua, PA. The shipper was listed as Chrysler Mtrs Corp & consignee. His Dad knew what he wanted this car for and he was all in favor. The yellow freight bill states it was off loaded on 10/20/62 to P&M Auto Transport and received at the Berks dealership on 10/22/62. cutting alternator power, small cut fan blades, hood jacked in the rear for cowl induction and his own engine tune. is the Dealer plate Nate used on this car. Also included is an original Pennsylvania Inspection Sticker. and it is in very good condition. 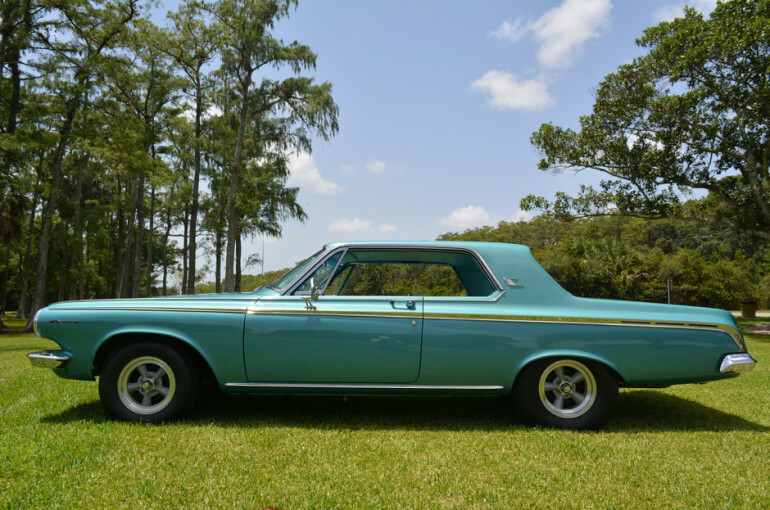 Included is the original 1963 Dodge operating instruction book in poor condition and a brand new one that is a reproduction. color Dodge brochure on the complete line of Dodges for 1963. RamCharger parked out side of his Dad’s Dodge dealership with the hood covered with many trophies. Also included are Newspapers with Nate Jr. mentioning is many, many wins at various Drag Strips. even faster. Dodge & Plymouth were really into 1/4 and 1/8 mile sanction NHRA and AHRA racing. 1960’s. All the bulletins will go with this car. find an imperfection? We could not! 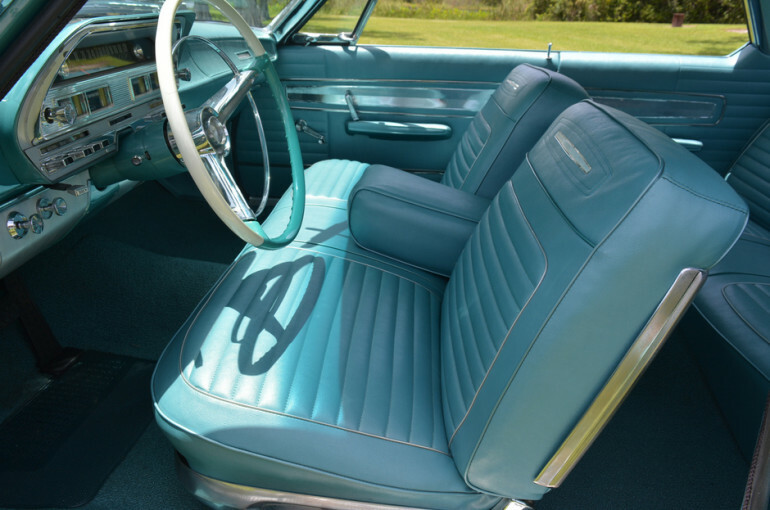 This car was 1st sold (NEW) and 1st titled by Berk Motors on June 20th, 1963 to a Carl Atherbolt, RD 2, Walnutport, PA.
(Mrs. Mae Atherbolt) to co-sign the note. engine, disassembled & had it properly stored. From 1966 until 1971 he raced the car with a 440 CID V-8. 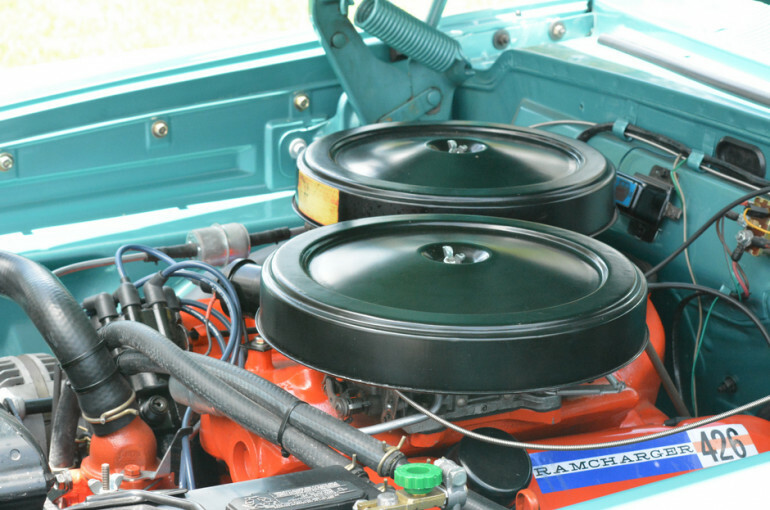 engine and he is the best of the best when it comes to building hi-performance MoPar engines. the 1st time he turned the key. Of course the transmission and rear end were professionally rebuilt. Joey is recognized as one of the best engine builders in the U.S.